beautybliz.com / Are These No-Light Gel Polishes the Secret to Chip-Free Nails? I have a love-hate relationship with gel polish. As someone who gets kitty claw gel extensions that take over an hour to perfect every two weeks, the last thing I want to do is sit around and wait for my polish to dry. So, I either keep them clear or I go for the gel color. I pop my nails under the light for a few seconds and I’m out the door. The con? I’m stuck with the same shade for two weeks. But since my job requires me to tackle the task of testing polish and offering my tips for fun nail art tutorial photo shoots, I need a more flexible option. How can I get the benefits of gel polish (high shine, long wear, quick drying, streak-free) with the ability to take it all off with a single swipe of remover? 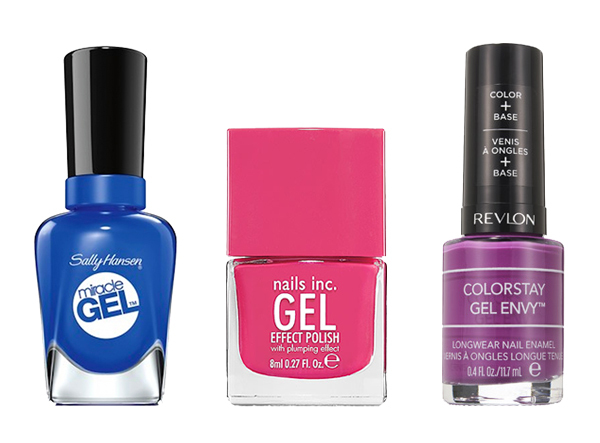 With the new crop of no-light gel nail polishes, my search may be over. No-light gel top coats were a thing for a while, but they didn’t really cut it. And while many brands claim to give you the effect of a gel without the light, they usually fall flat, too. But now three brands have (finally!) perfected the no-light gel formula that we’ve all been waiting for. I recruited two friends, Lisa and Johanna, to help me take them for a spin to see how well they perform. While other polishes simply mimic the look and wear of gel, Sally Hansen’s new Miracle Gel is part lacquer and part gel manicure system. 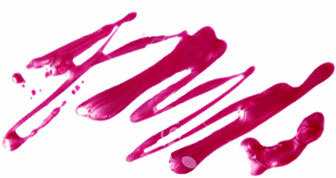 The Color Coat formula features oligomers, while the complementing Top Coat is made with photoinitiators. When the two are combined during application, they cure the formula without LED or UV light. Cool right? It gets better. The formula will continue to cure from natural light after you’ve already applied, making your manicure more durable over time. Lisa's lasted for about two weeks with very minimal chipping — pretty awesome considering that she spent all of July 4th weekend in a pool. Miracle Gel is available in 47 shades, including nudes, pastels and metallics, and comes off with zero effort. With the same plumping technology found in salon gel manicures, this Nails Inc. Gel Effect nail polish mimics the look of gel formulas to the T. Thanks to the unique plasticizer technology, you’ll notice a crazy amount of shine with no streaks in sight. Out of all three polishes, this is the only one that doesn’t have a complementary top coat, but rather suggests users apply the Kensington Caviar Base and Top Coat ($11 each). Johanna tested it without either of those and it still looked super glossy and lasted for a little over five days sans chips. Just think how much longer it would have lasted if she did add the base and top coats. The best part? It comes right off so you can try every single one of the 12 pretty shades. It’s almost unbelievable how smooth and rich Revlon’s new Gel Envy polish looks after just one coat — you almost don’t need a second. The formula is made with a built-in base coat and features “four nail-hugging polymers and optical brightening pearlescence” that make a $7.99 polish look like a million bucks. The two-step system includes a ColorStay Gel Envy Diamond Top Coat ($7.99, sold separately) made to complement the 30 pretty shades and up the ante on shine. The topcoat, made with film smoothing technology, forms a protective coating on the polish, resulting in a glassy shine and life-resistant wear. I’ve been wearing Pocket Aces (a lovely coral-red) for almost two weeks and it’s still going strong.